Gentleman clubs exist in Pattaya as a slightly different twist on the usual soi6 bar. Whereas soi6 bars are a mixture of drinking and other activities gentlemen clubs are more explicitly purposed and because of the location in areas such as soi Bongkot there is less reason that someone could stumble there by accident. The idea is to have a space where all the girls are available and customers can come in at their leisure, and enjoy in a semi open setting ala German FKK club style. The reviews are generally mixed with some complaining of unattractive hostesses, high bar fine or too many other customers. Some venues mentioned are Kinnaree ( perhaps the most well known and even had a website , http://www.kinnareeplace.com) Club 555, Heaven, Sin , Jade House, and KitKat. You can find some of these on Facebook. Many of these are hard to locate e.g. Passion club in Jomtien. Others are easier such as Le post office on soi LK and Telephone on soi 2. Note that generally, the ladies here are older or less attractive in some way. However beauty is in the eye of the beholder and prices are generally lower around the 1.5k mark. But they are available at the day time, no need to stay out late in a club looking for a freelance or sit in a noisy bar. Do note that most clubs have a ‘no phones’ policy to protect the staff. Keep it in your pocket or bag. 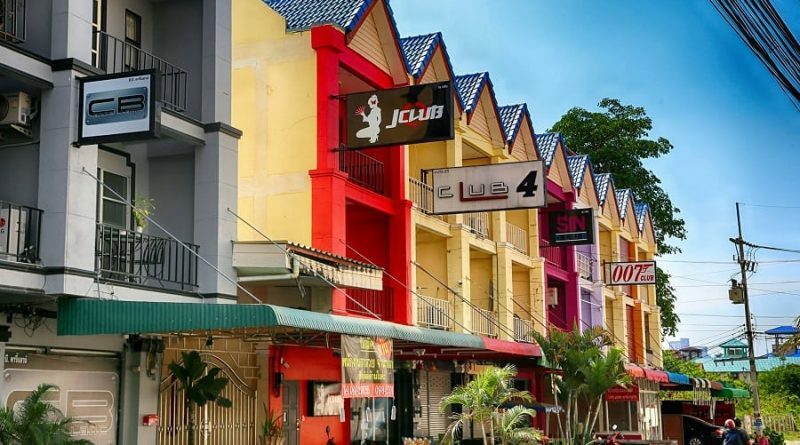 Gentlemen’s clubs in Pattaya are a different experience and maybe tailored to a specific audience that wants a thrill of semi public or exposure to the actual bar itself. Obviously this is not for everyone’s taste but as an experience it is somewhere in between soi6 ( because on the premises) and the BJ bars of BKK. The clubs also offer food and drinks though obviously don’t expect high cuisine. As they say in Thailand ‘up to you’ and for a more relaxed time a gentleman’s club experience may be for you . Some times you don’t even need to get up from the seat to be serviced, the hostess just goes on with the job while you talk to your friends or drink a beer.